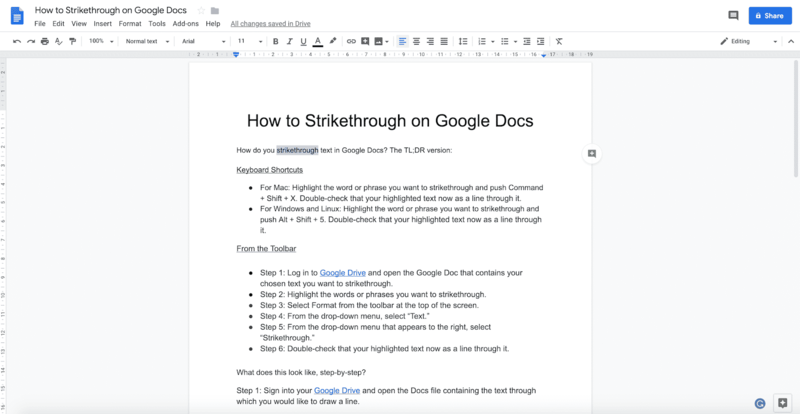 Strikethrough text in Google Docs is a commonly used feature. 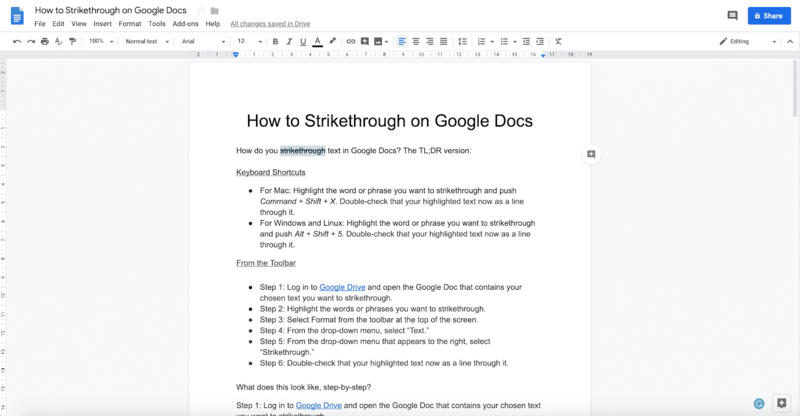 Sometimes, you’ll need to use the strikethrough text functionality in Google Docs, and it helps to know just how to access that functionality. What is the strikethrough, you ask? The strikethrough is a feature on word processors that allows you to cross out certain words while still leaving those words visible to the reader. Like this. This is an awesome function if you’re a blogger who likes making sassy comments after delivering information or if you manage content marketing projects and love to feel the dopamine rush of a crossed off to-do list item. 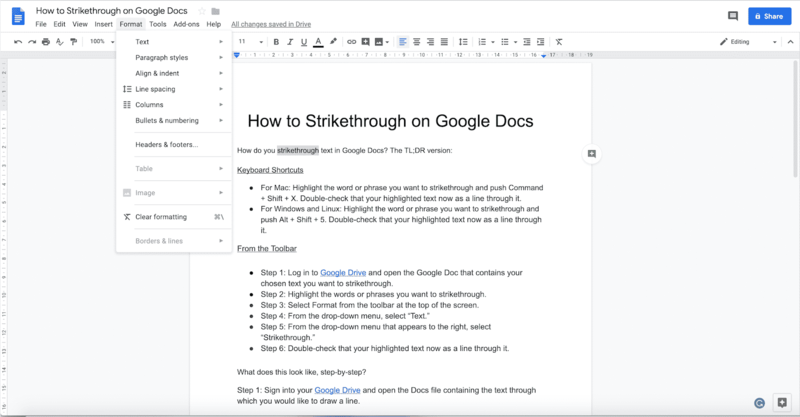 But the strikethrough function isn’t always listed in an obvious place in the toolbar, especially if you’re using Google Docs. Mastering Google Docs for blogging is essential to swiftly complete content if you, your clients, or your company operate through the Google Suite; its shared editing is unmatched. Getting a handle on using the strikethrough function is pretty easy work, actually. It just involves memorizing keyboard shortcuts or nested folders in Google Doc’s toolbar menus. For Mac: Highlight the word or phrase you want to strikethrough and push Command + Shift + X. Double-check that your highlighted text now as a line through it. For Windows and Linux: Highlight the word or phrase you want to strikethrough and push Alt + Shift + 5. Double-check that your highlighted text now as a line through it. 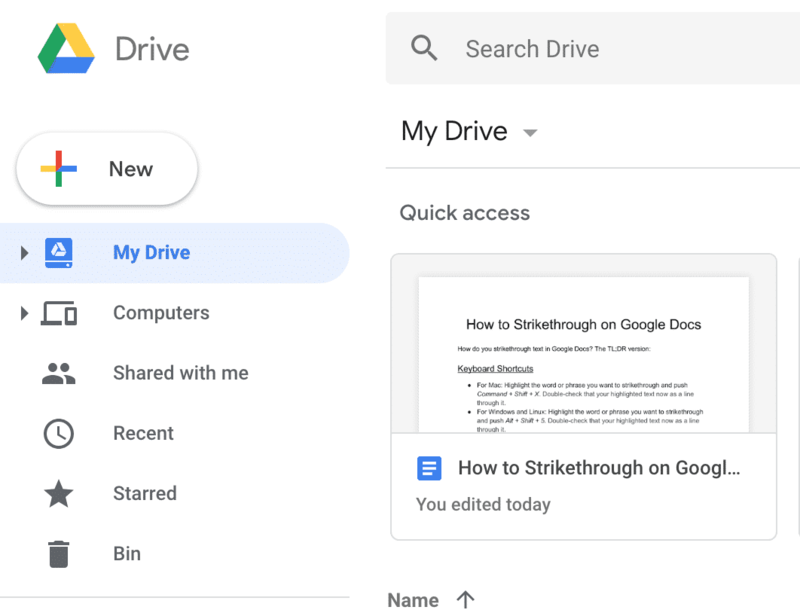 Step 1: Log in to Google Drive and open the Google Doc that contains the chosen text you want to strikethrough. Step 2: Highlight the words or phrases you want to strikethrough. Step 3: Select “Format” from the toolbar at the top of the screen. Step 6: Double-check that your highlighted text now as a line through it. What does this look like, step-by-step? Step 3: Select Format from the toolbar at the top of the screen. If there is a line through your text, congratulations. You are now the reigning strikethrough champion, second only to Patrick Star, as shown below. Transferring between Google Docs and WordPress can be challenging. Often, you have to re-format and re-enter photos when transferring between Google Docs and the popular CMS. 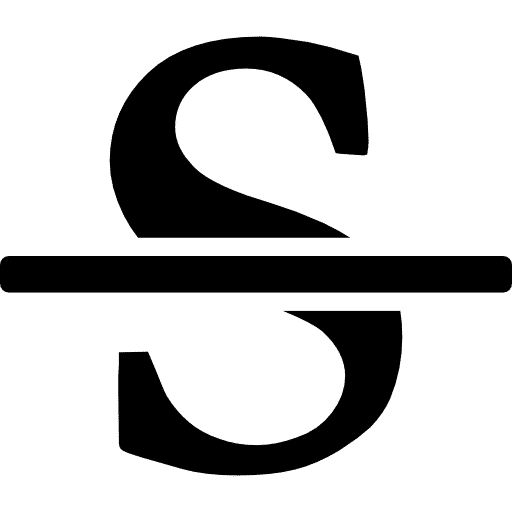 Wordable allows you to seamlessly transfer your Google Doc to WordPress with one simple click, which before the app was challenging. 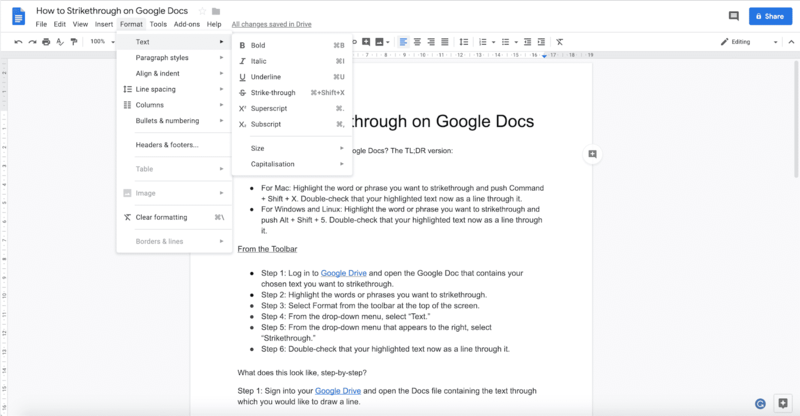 Wants tips on more of Google Doc’s functionality? 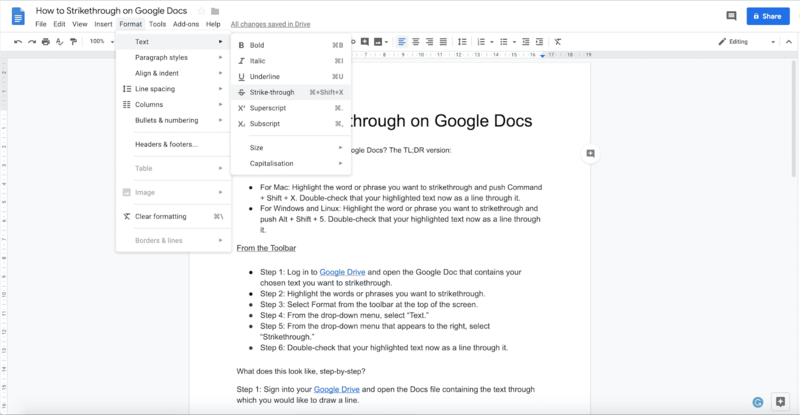 Check out Using Google Docs: The Ultimate Guide for 2019. I saved 1 hour uploading this post from Google Docs to WordPress using Wordable. Try it out here.